Family time away on vacation is almost sacred in this day and age. The best places for family vacations are those getaways that offer a precious pause for relaxing and recharging and forgetting why you felt like you needed to get away in the first place. It's a rare escape from the rigors of work, life and stress, a time where you can tilt the scales of work-play balance in your family's favor. For the kids, a family vacation is a chance to take their mind off mountains of homework, report card anxiety and the stresses of fickle friendships. It's a time to enjoy the unconditional appreciation of family members. Don't they deserve the same vacation you do? We think so. While other family vacation destinations tout their luxury spas, exclusive golf courses and five-star, fancy-pants restaurants, we're excited to tell you why we're Arizona's most affordable and fun vacation spot for families! We have plenty of affordable lodging options and restaurants serving nutritious and delicious meals that'll keep everyone happy (including your wallet). 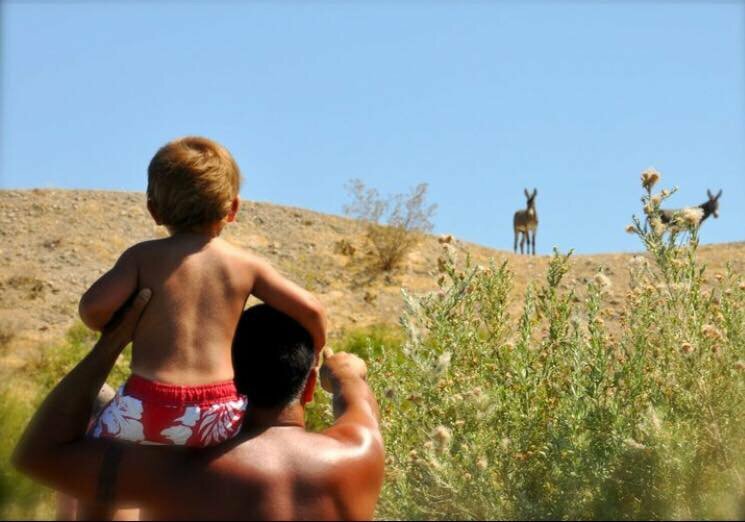 The West is an enchanting place for kids and in Lake Havasu City, they definitely won't be disappointed. There's more than enough adventure to be had here, from desert hikes to lake fun such as swimming, boating and beaches (with no worries about riptides, dangerous fish or biting insects). The kids can also cool off at our indoor waterpark, take a hike, and enjoy family-oriented Lake Havasu events such as movies in the park, youth concerts, sporting events and more. Lake Havasu City isn't just one of the best places for family vacations; it's also one of Arizona's best cities to raise a family. Designed with families in mind, we have many high-performing public and private schools, a beautiful Arizona State University campus offering affordable tuition and a small, private college experience, a full pediatric ward at the Havasu Regional Medical Center and wonderful parks aplenty . With a population of only 52,527 (according to the 2010 U.S. Census), low crime rates and little traffic, it's no wonder why Lake Havasu City fits the bill as one of the best cities to raise a family. It's the kind of community where parents actually feel safe letting their kids take off to discover their own adventures. Come enjoy the fun and sun in one of Arizona's best places for family vacations and best cities to raise a family. Start planning your trip—or contact us for relocation information—now! Even on vacation, kids sometimes want some "down-time" from their parents (and vice-versa)! Lake Havasu City offers several venues for kids to hang out with other kids in safe environments. All events below are open to kids without being accompanied by a parent (if that's OK with the parents, of course). This section was created, researched, and written by Nikki Konwinski, 14, of Lake Havasu City. Interning at the CVB as part of the Coyote Summer Youth Program, Summer 2014, Nikki took the initiative to suggest information dedicated solely to kids and teens. Kids can cool down in the big wave pool or slip down the slide. Either way, kids will know it was worth their day! Kids can also go outside and play on the renovated water park. Havasu Lanes lights up the inside with black lights, making it fun to wear bright colors so you glow in the dark! Kids can stop by the snack bar that has all types of food and drinks, or dance around under the black lights. Parents are welcome to come, too. Come learn about Lake Havasu history in this museum. Walk around all the different exhibits and also stop by the museum store. Learn about the Indian tribes or look at prehistoric fossils. Bring your skateboard, scooter or bicycle down to the skate park and hang out with friends. Try skating around the different areas or just watch others, either way you get to have a fun time in the sun. Computer center, video games, books and games just for teen use. Great place to hang out in the summer when the outdoors is too hot.